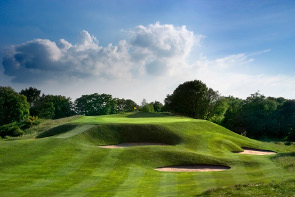 There is no doubt that golf course designers such as Donald Ross, James Braid and Alister Mackenzie paved the way for modern architects to create some of the most stunning golfing creations the sport has ever seen but would the new breed have been able to work their magic without being able to learn from the past masters? 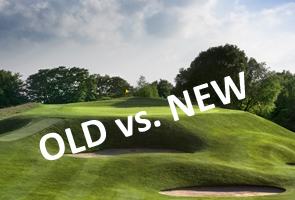 Well…seeing as my DeLorean is currently undergoing repairs time travel is out of the question, so the only thing we can do right now is have a look at the courses from golf architects old and new and put it to a vote to see who is the best. Here are 6 golf course architects and their finest pieces of work…we’ll let you decide who the best is! James Braid will forever be down in history as one of the most prolific golf course designers ever. He was born in the Kingdom of Fife, Scotland, in 1870 and it was at links course in the town of Elie that Braid learned his Golf. He originally trained as a carpenter, however from a very young age he showed true talent as a golfer, and his passion for carpentry and love of golf led him down the path of club making and repairing, at first his own and then others. After moving from Scotland to London in his early twenties to continue making clubs, he persisted with the amateur game and a paying position at Romford Golf Club, in Essex, beckoned. And so a career as a golfer began, and to this day few have matched his unbelievable record. He was the Tiger Woods or Jack Nicklaus of his generation, one of the first golfing superstars. After winning five Open Championships and countless other tournaments he decided to take a step back from the game and concentrate his time on course making. I am sure that every golfer in the UK will be grateful that he did, as he produced and enhanced many beautiful hunting grounds in his time as a designer. Braid is probably best known for the King’s and Queen’s courses at Gleneagles. 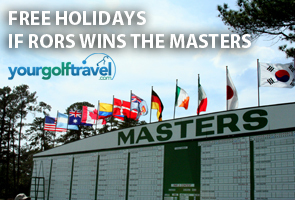 The two are consistently ranked as some of the best golf courses in the world by many a publication, and rightly so. The king’s especially is a true masterpiece, which offers a test for all levels of golfer. Gleneagles is the ideal mountain setting for a game of golf, the extensive views of the Ochil Hills and the peaks of Ben Vorlich and the Trossaschs are purely stunning. 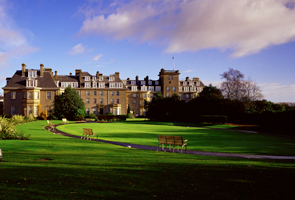 The Queen’s at Gleneagles is often chosen as the members favourite, however the King’s always ranks higher in top 100’s. Alister MacKenzie broke the tradition associated with leading players and course design. He described himself as a “good putter, but mediocre ball striker”, and was one of the first prominent architects who had not been a professional golfer. MacKenzie originally trained as a surgeon, and was a civilian doctor during the Boer War and During World War I he was heavily involved in military camouflage. In 1914 he won a golf hole design competition which was organised by Country Life magazine. This spurred MacKenzie on to a career in golf course design, first looking to improve the local courses near his home town, in Leeds, which helped him gain the fundamentals in the discipline of golf course design. 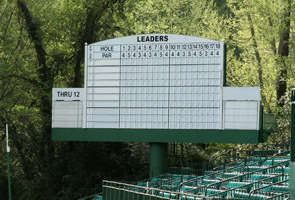 Arguably the most famous and the most televised golf course in the world is Augusta National, holding The Masters annually. Bobby Jones chose MacKenzie to co-design the course with him in 1933 following Jones’s admiration of Cypress Point and Pasatiempo, and also their shared love affair with the Old Course at St Andrews. Augusta National features some truly outstanding features including Amen Corner which gives spectators views of the second shot at the 11th, all of 12th and the tee shot at the 13th. The Sarazen Bridge which crosses the pond on the 15th that separates the fairway from the green is one of the most iconic bridges in golf. Augusta’s front nine were originally its back nine. 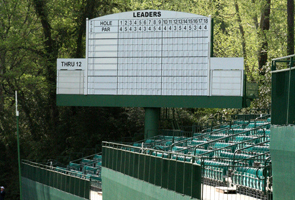 Before the Masters in 1935, the decision was made to switch the nines. Born in Dornoch, Scotland in 1872, Donald Ross would grow up to be one of the most significant golf course designers in history. It is estimated that between 1900 and 1948 Donald Ross was involved with designing or re-designing over 400 different courses, which lay the foundations for the golf industry in America. He was inducted into the World Golf Hall of Fame in 1977, which is a prestigious award for any golfer let alone a golf course architect of whom there are few in the World Golf Hall of Fame. Donald often included holes in his courses which looked inviting for a golfer to run the ball onto the green, but these punished the played for over hitting the shot as trouble lurked through the back in the form of fallaway slopes. Ross’s most famous designs include Pinehurst No. 2 which is one of the most celebrated courses in the world and has held the highest amount of single golf championships than any other course in America. The course is renowned for its crowned, undulating greens, which are some of the most complex and generally hailed across the golfing world. 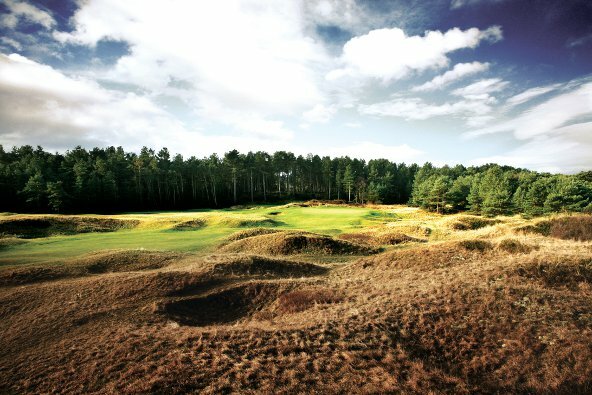 It opened in 1907 and Donald laid claim to it being “the fairest test of championship golf I have ever designed”. He was involved with the course for almost 50 years, continuing to improve and work on each year until his death in 1948. Augusta’s front nine were originally its back nine. Before the Masters in 1935, the decision was made to switch the nines.Pinehurst is one of the finest golf resorts in the world, with eight top class golf courses and The Pinehurst Golf Academy on site. Kyle Philips is a California based golf course architect who has designed many courses across America, however it is his work on this side of the Atlantic that has produced his highest profile work. Phillips has been in such high demand during his time as a golf course architect that he has worked in over 30 countries spread across 5 separate continents. Each course designed by Phillips is unique, this individuality stems from his belief that golf courses should have their own character and personality which is derived from its location and history. The first course Kyle Phillips designed as an independent golf course architect was the magnificent Kingsbarns Golf Links, which opened in July 2000 and is located just 7 miles east of the home of golf. Kingsbarns is a top 100 ranked golf course and has also been ranked the #1 course in Europe created in the last 50 years. 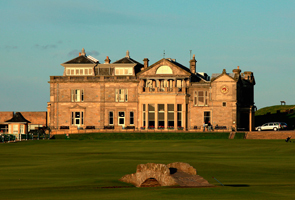 It annually joins The Old Course and Carnoustie Golf Links as the co-host of the European Tour’s celebrated Alfred Dunhill Links Championship. Even though the course has only been around for just over a decade it feels so natural that you would think that it had been there for years, an astonishing achievement in golf course design. Even though Kyle Phillips is American, there is no doubting his ability to design a true links golf course. Pete Dye is literally a living legend; born in 1925 he is world-renowned for his golf course designs along with his wife Alice who is also a golf course architect. Dye began his quest to become a golf course designer whilst in a mid-30s; his wife supported his career change, from selling insurance, and became a partner in the new venture. He travelled to the home of golf in 1963 to study the classic courses which led to the subsequent use of pot bunkers, bulkheads constructed of wood and diminutive greens in many of his designs. He’s not only given courses to the world of golf, but also acted as mentor for many up and coming golf course designers. His best known design is TPC at Sawgrass, often described as one of the most difficult golf courses in the world. 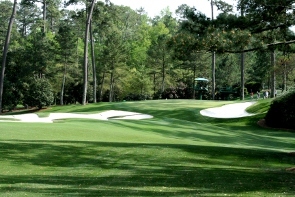 It was constructed in 1980 specifically to host The Players Championship hence the name. It is most recognised for its 17th “Island green” hole which has been given the title of “the world’s most terrifying tee shot”, measuring just under 140 yards it is a real test of golfing nerve as the only place to put the ball is on the green. The idea for the hole didn’t come from Pete; it actually came from his wife Alice who helped design the course. Due to the popularity with the fans for the hole during the tournament NBC, who cover the event; devote 11 cameras to it during the event. The 17th has produced some truly remarkable moments over the years. Probably the most infamous of all incidents to happen at the 17th was when Steve Lowery’s ball was picked up by a seagull and dropped in the water. Tom Fazio is the only living golf course designer with the most entries on Golf Digest’s list of America’s 100 Greatest Golf Courses and Golfweek’s collection of America’s Best. At the age of 67 Fazio has laid out more than 120 courses and is often attributed the title of the America’s Greatest Living Architect. Fazio learned the trade from his Uncle George’s firm who was a respected golf professional, and after his playing days were over, set up a golf architects firm along with Tom and Lou Cappelli, together they constructed numerous outstanding courses which are particularly characterised by their sand traps which are designed into shapes such as clover-leafs and butterflies. Fazio has always emphasized that “golf courses should reflect the natural beauty of their environments”. Tom’s most famous designs are to be found at The Resort at Pelican Hill, where he managed to create 54 holes of outstanding golf. Pelican Hill boasts 36 championship holes on the Ocean North and Ocean South Courses and also another 18 holes at the Oak Creek Golf Club. Both the Ocean North and Ocean South Courses boast stunning views of the North Pacific Ocean from the majority of their holes, which is an asset few courses in the world can lay acclaim to. With several cliff edge holes and a vast variety of vegetation, Pelican Hill is a very special place to play golf. The attention to detail at Pelican Hills is second to none, even the range balls are tour-event Nike Platinum 1 golf balls. Print article This entry was posted by Jerome on November 16, 2012 at 4:48 pm, and is filed under General. Follow any responses to this post through RSS 2.0. You can leave a response or trackback from your own site.